There are some circumstances like stroke, paralysis of limbs and head injury when a patient might remain immobile and bed-ridden for weeks. Such patients require stable care to evade the formation of bed sores (ulcers over back and hip due to pressure), pneumonia, infection of urine tract, constipation, etc. Stroke can cause various degrees of brain damage that may lead to different levels of bodily, cognitive and speech impairment. Such disability affects the daily living and self-care of stroke patients. Suitable care is of utmost importance in helping the stroke patient to deal with these disabilities and to improve their quality of life. 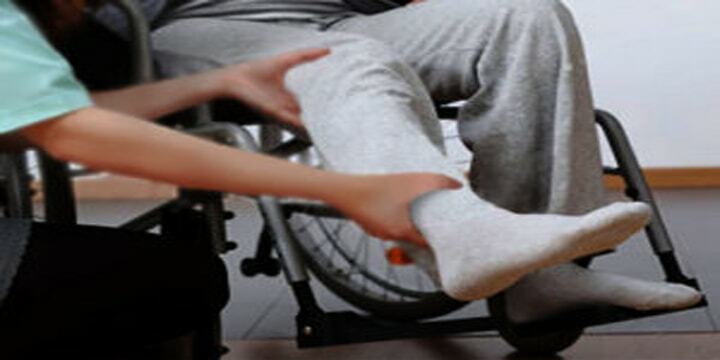 To help the patient to become accustomed to the disability and gain sovereignty. To preserve the body in most favorable status to prevent complications. To improve the patient’s quality of life. Whether you’re coordinating your loved one’s stroke care from afar or managing the errands hands on, in-home care services can be fundamental to the process. TriBeCa Care provides your parent, spouse or other loved one recovering from a stroke with prescreened, dependable home care professionals with the training, understanding and sympathetic approach to help your loved one remain autonomous in a safe, recognizable environment while recovering from a stroke. First and foremost, TriBeCa Care’s experienced home caregivers provide the camaraderie and support that are imperative for successful at-home stroke recovery; inactivity and loneliness can contribute to post-stroke depression and it becomes difficult for stroke survivors to follow their treatment or rehabilitation plan. Stroke rehabilitation programs can help, though stroke remedy treatments will not ‘cure’ or reverse brain damage. The goals of stroke rehabilitation are to help stroke survivors live as independently as possible while adjusting to new limitations. Speech therapy: Speech-language pathologists from TriBeCa Care help people with aphasia relearn how to use language and communicate. Therapy may include repeating words as well as reading and writing exercises. Physical therapy and strength training: Stroke can cause problems with movement. Paralysis, or loss of muscle function, is common after stroke — especially on one side of the body. TriBeCa Care’s physical therapy can help stroke survivors regain strength, coordination, balance, and control of movement. Occupational therapy (re-learning skills required for daily living): TriBeCa Care’s Occupational therapists or rehabilitation nurses can help stroke survivors relearn some of the skills they will need to care for themselves after a stroke. Rehabilitation nurses may help stroke survivors manage their personal care, such as bathing and washing. They can also help with therapy to regain continence (control of bladder and bowel movements) after a stroke. Our occupational therapists may help stroke survivors relearn how to do activities such as preparing meals, cleaning the house, and driving. Psychological counseling: Stroke can cause chemical changes in the brain that affect the way a person thinks, feels, and behaves. At the same time, stroke rehabilitation can be a long and difficult process. Even after rehabilitation is complete, most stroke survivors will live with some minor to moderate disabilities. Many stroke survivors will require mental health counseling and medications to help address issues such as depression, anxiety, frustration, and anger. It’s important to identify and treat mental health issues such as depression early in the recovery process. Stroke survivors that are depressed may be less likely to follow through with stroke rehabilitation and treatment plans. TriBeCa Care’s stroke home caregivers promote your loved one’s well-being and safety. And if you are the caregiver for a loved one recovering from stroke, a home care professional referred by TriBeCa Care can be your back-up, providing reassuring respite care that allows you time to look after yourself, too. Visit us at www.tribecacare.com to know more about us.